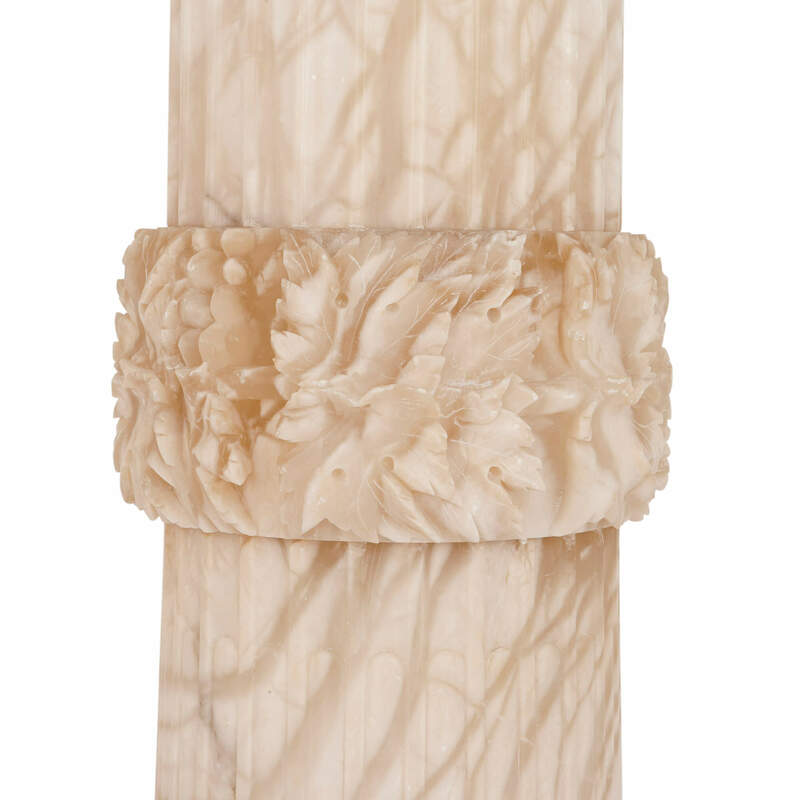 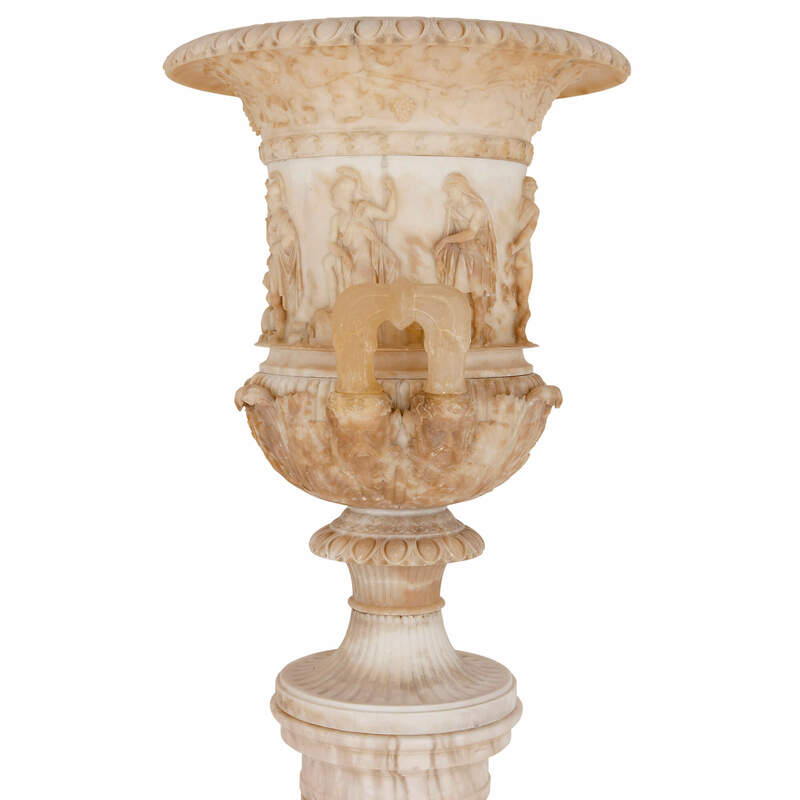 This beautiful alabaster vase and pedestal is an exceptional piece of sculptural work, and is an ideal piece for a grand, Classical-style interior. This wonderfully-crafted vase is a replica of the famed Medici Vase, one of the most iconic pieces of Ancient Roman sculpture. 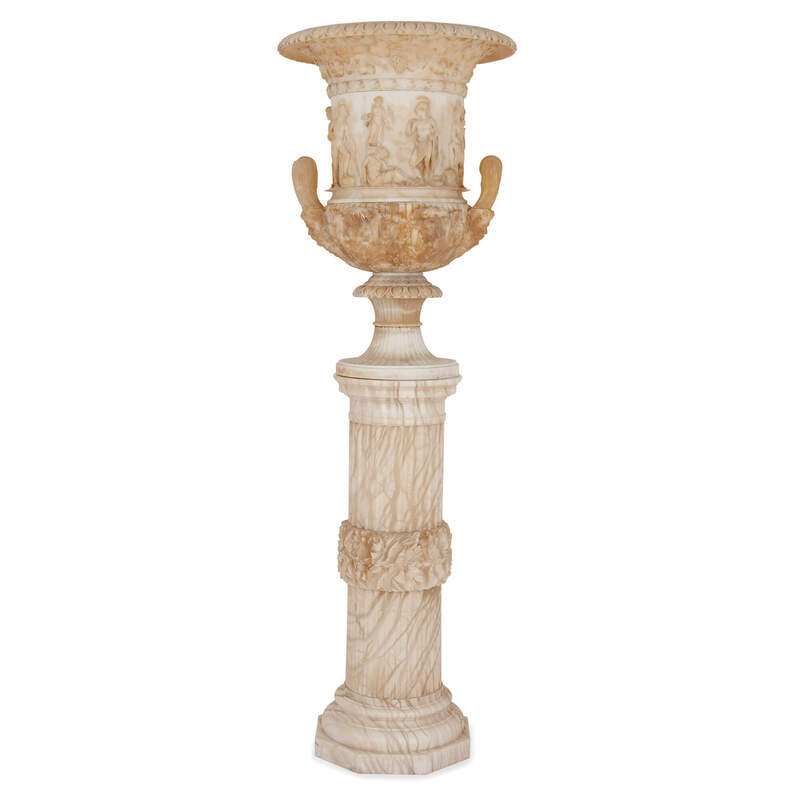 The original is currently on display at the Uffizi in Florence, Italy, and was built in the 1st Century AD most probably as a garden ornament. 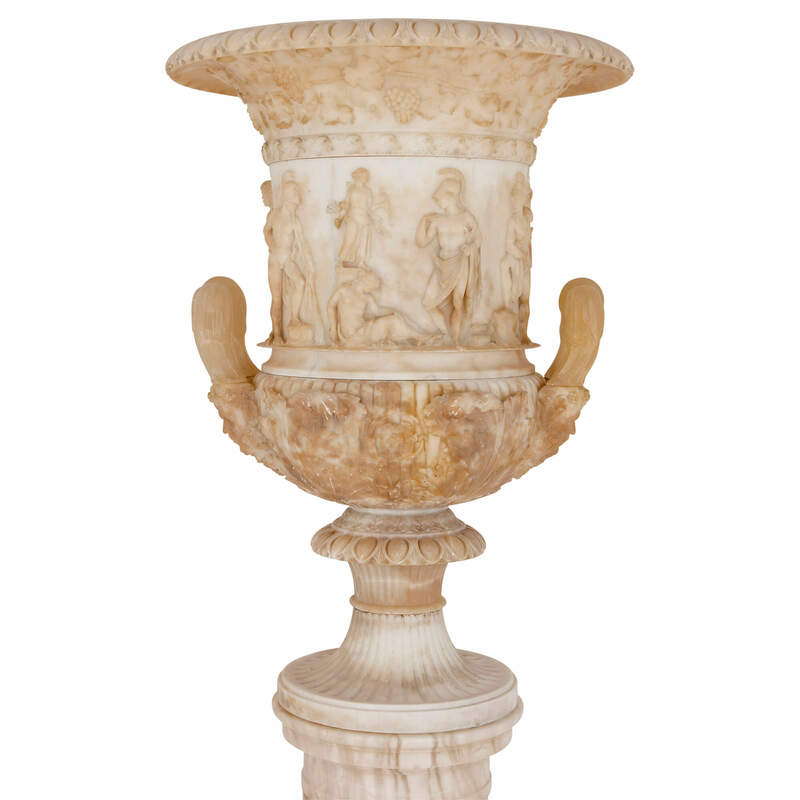 The Medici Vase - so-called because it was owned by the Medici family, one of the most wealthy and influential families of the Italian Renaissance - was a popular subject for imitation in the 19th Century, commonly in bronze, porcelain, marble or, in this case, alabaster. 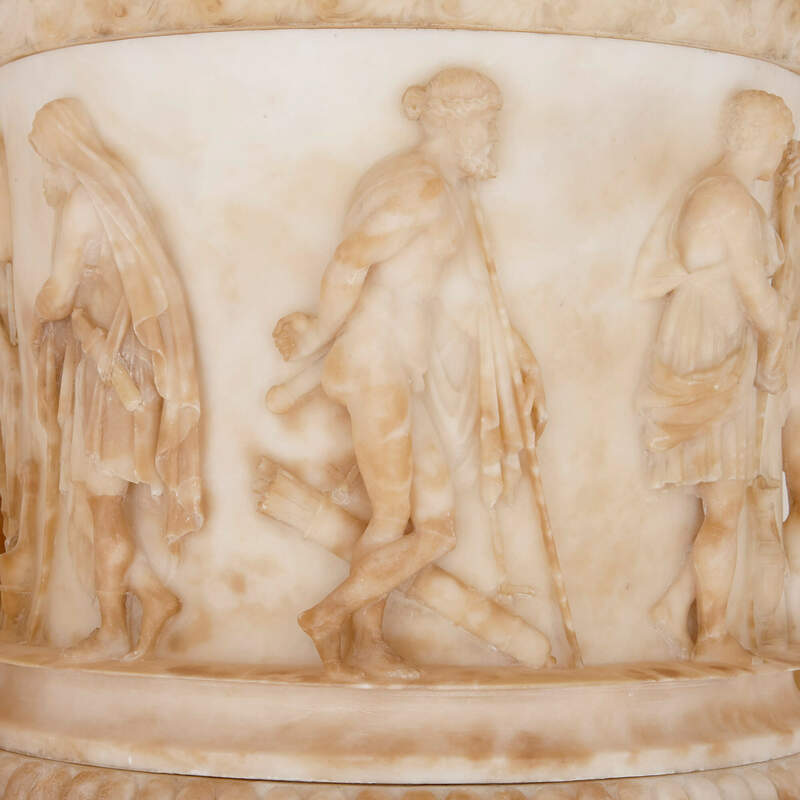 The vase is bell-shaped, or campana-form, with a wide-lipped rim and twin handles,and is decorated around its exterior with a relief frieze showing Bacchanalian figures. 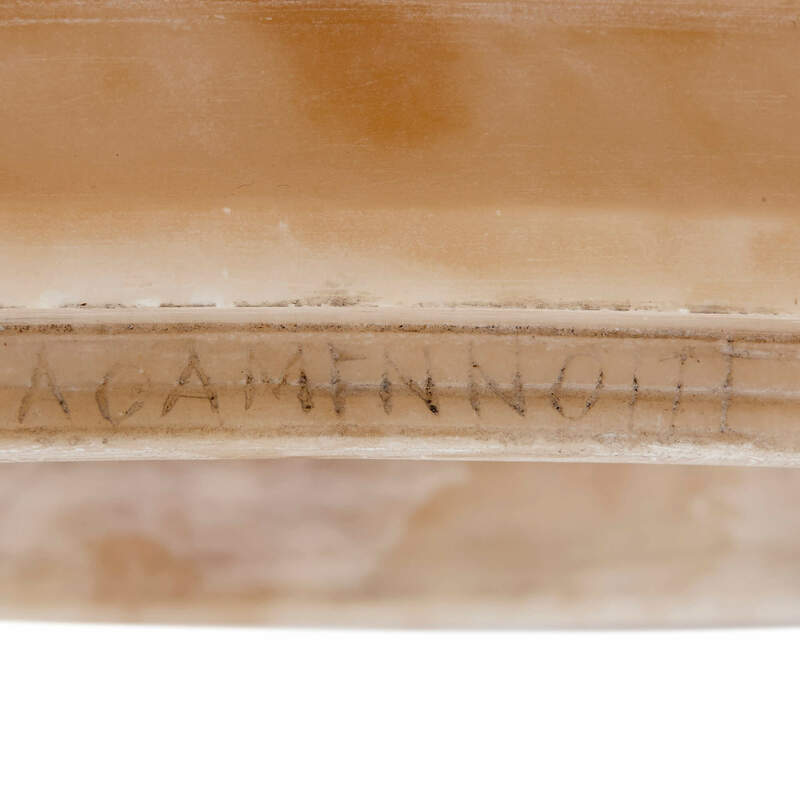 The figures on the vase have never successfully been identified, but it is likely that they are Roman gods or characters from myths or legends. 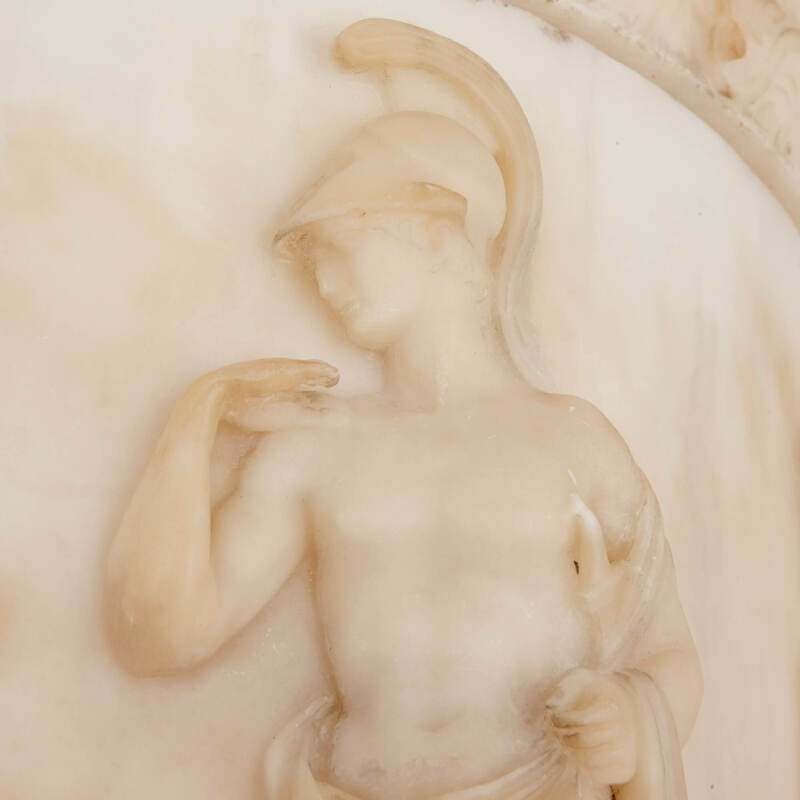 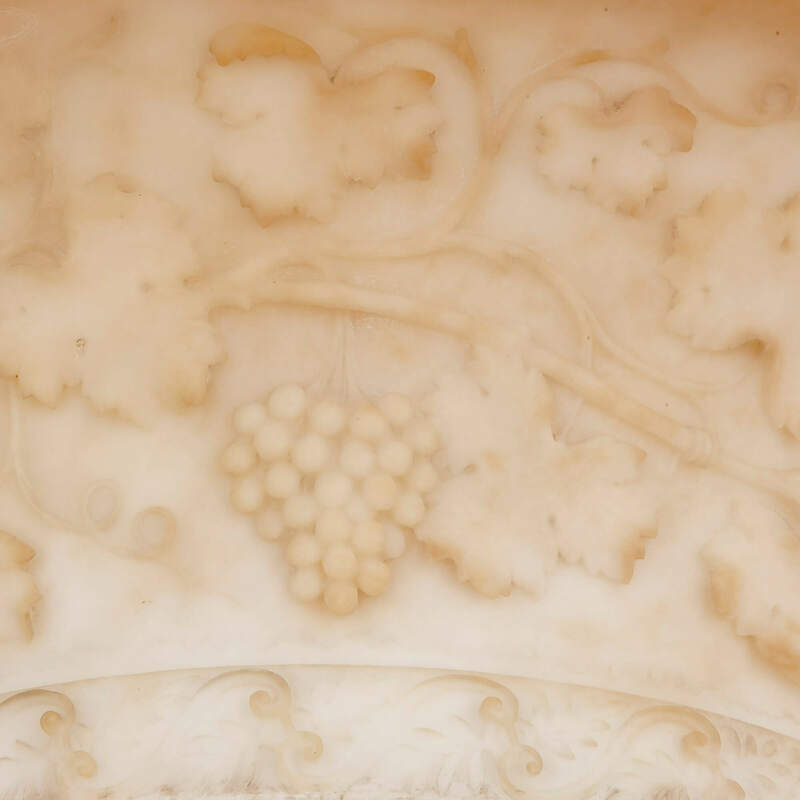 The vase is set on a veined alabaster pedestal which is decorated around its central column with fluting and a floral garland, on an octagonal base.